Back in September, Apple launched the long-awaited iPad Pro and gave us a nudge that it'd be launching in November. But there were no specific dates set out and new rumours suggest it'll be ready for a launch next week. Various sources have told 9To5Mac the iPad Pro will launch on November 11 in both retail stores and online. Before we heard it'd be launchingthe first week of November. 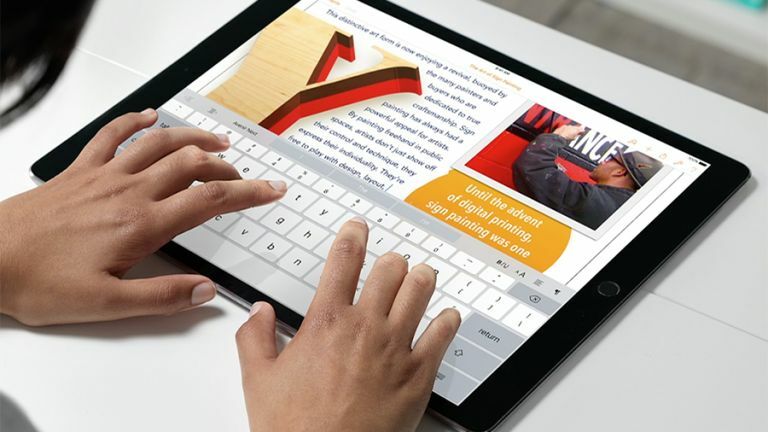 Rumour is the Apple Pencil and iPad Pro keyboard will be launching at exactly the same time so you can buy both together and get the full large tablet experience. That plus another rumour that Apple support staff will finish iPad Pro training on November 6 suggests the sources are correct and Apple is ready for launch. The issue is whether we'll see a worldwide launch to start with – it looks like most of these sources are in the US so it may be possible the slate isn't ready for the UK. Pricing for the tablet hasn't been announced on this side of the pond yet either, but in the US it'll cost $799 (about £517) for the 32GB version. The 128GB Wi-Fi only model is $949 (about £613) and the 128GB cellular version is $1079 (about £698). Oh, and the Pencil? That'll be another US$99 (around £65) than you very much.